Sri Lanka had prepared an immensely batting friendly surface in Galle and had got smashed by India. So for the second test in Colombo, they came up with a slightly different kind of surface which was offering grip and turn to the spin bowlers on the first day itself, but, India still managed to pile more than 300 runs on the board at the expense of just three batsmen. 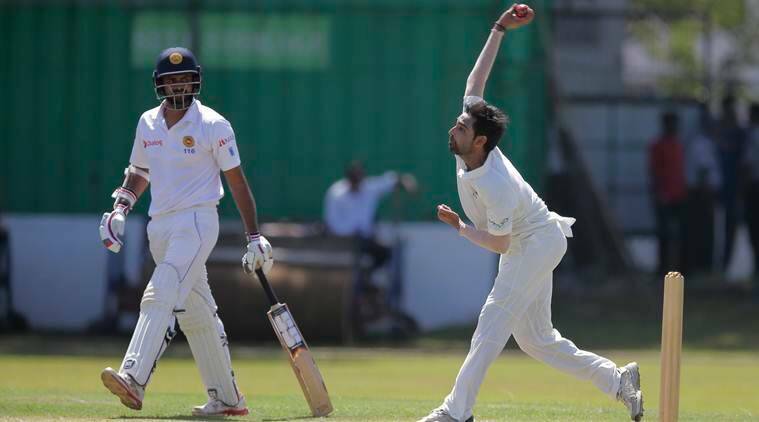 While one could have been sympathetic with the Sri Lankan bowlers at Galle for the reason that they had nothing to work with there, the same can’t be said for the Colombo pitch because it had a lot more aid for the bowlers, particularly for the spinners and Sri Lanka had three of them in the XI but, what they erred in was their length and their speed as well at times. 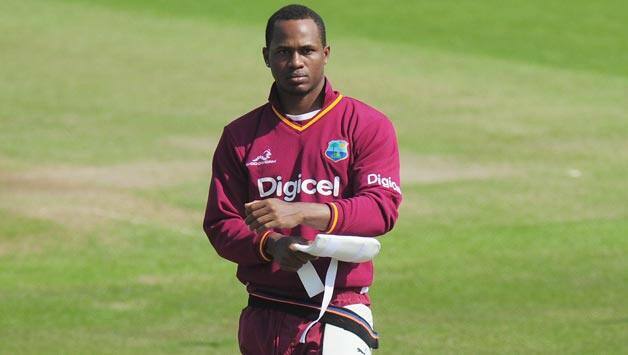 Marlon Samuels is feeling hurt that his loyalty towards the Caribbean Cricket over the years is not being acknowledged by the administrators. There is a new rule in the Caribbean now that any player who refuses to participate in the first class competition at home for whatever reason except injury can’t make it to the national squad. Samuels reckons this rule can’t be imposed on everyone because the opportunities of making big money have opened up for the players in the recent years in different parts of the world and they have every right to grab those opportunities. Citing his own example, Samuels says that Cricket is the only thing through which he earns his living and as long as he is ready to be available for national duty whenever he is sought, it’s unfair to stop him from offering his Cricketing services elsewhere in the spare time. The coach of the Pakistan cricket team, Arthur was once the head coach of the Australia Cricket team. However, he was sacked three years ago in a dismissal that was alleged to have been acrimonious and in which the South African laid a claim for a high profile severance from his employers. Less than two years into his tenure as the coach, his post began t0 unravel especially during the 2013 tour of India where his team led by Michael Clarke were whitewashed 4-0. And during the infamous ‘homework-gate’ scandal, four of their players were stood down for a test. The Champions Trophy tournament held in London a few months later, saw England’s Joe Root being punched by opening batsman, David Warner on a boozy night out at a bar. With the discipline of the team appearing to be in complete disarray, Arthur was thus dismissed just three weeks before the Ashes and replaced with Darren Lehmann, who currently is the coach of the Australian Team. India, after a run of 8 successive wins, finally saw a defeat at the hands of South Africa in the practice game played in Mumbai yesterday. Regardless of it being a practice game, the stadium was full and the proceedings took place in full intensity. There were runs written all over the wicket which was bare and flat and the short boundaries were only adding to the excitement of the batsmen. 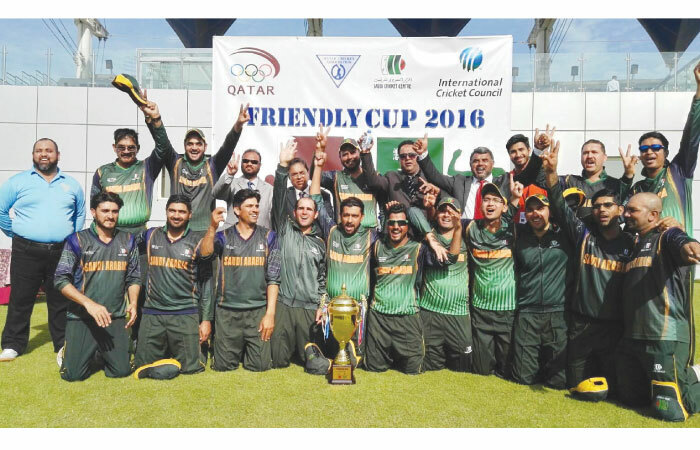 It was the making of a run fest and it panned out to be exactly that with the batsmen from both the teams swinging their willows as hard as they could. India, however, couldn’t land that last killer punch as their skipper MS failed to smash the boundary needed off the last ball. India, actually, could have had a better chance of winning the game if their think tank had let the two settled batsmen Shikhar Dhawan and Suresh Raina continue batting. But, with the view of giving the big hitters the ideal situation to have a test of their skills, both those players were made to retire and Yuvraj and MS took the matter in their hands in the 16th over. In a twenty 20 game, you have to be a gambler as a captain and not be afraid of making any move. Rohit Sharma, the Mumbai captain, had Krunal Pandya, one of his rookies, batting three ahead of all his specialist batsmen against Delhi Daredevils on Sunday. Krunal’s primary trade is his left arm spin bowling and not his batting, but, he was the man for the captain that night as there were three spinners in the opposition’s XI who would be spinning the ball into him. Krunal went mad at the spinners thumping them at every little chance they offered just because he was going with the spin and had a nice, free swing of the bat and that put Mumbai so much ahead in the game. Someone, who was right handed even though he was more of a batsman, he might not have directed the game towards Mumbai like Krunal did. Shikhar Dhawan seems to have added a new shot to his game and that’s proving quite fruitful for him. He is picking the fast bowlers up from a length and hitting them 20-30 rows back into the stands on the leg side. Dhawan had always been brilliant on the off side, with his cuts and drives, but, the same couldn’t be said about his leg side play. He was not as efficient on the leg side and it was not that difficult to figure out as an opposition. And, that’s why, the bowlers, in the recent times, would always look to fire the ball onto his legs to try and cramp him for room and that strategy had been working against him as he was not able to score runs at a pace he wanted. But, now that he has added another dimension to his game by discovering the pick-up shot, he is forcing the bowlers to bowl to his strength again. In the second game of the T20 series against Australia, as he got a couple of those shots away over the square leg boundary, the bowlers were quick to compensate and err on the off side and that only played into Dhawan’s hands as he easily freed his arms to get more runs. And, the same happened in the Sri Lanka series too recently. The England Cricket team was beaten by Pakistan in the third test match at Sharjah earlier today and with that, the latter was able to win the series as well. Needing 238 more runs to win the game and square the series up, the English batsmen couldn’t rise to the occasion and despite, the resilience shown by the captain Alastair Cook, they fell short by some distance. For Pakistan, the spinners delivered the goods as they were expected to with Yasir Shah having another belter of a test match. England would be pretty disappointed with this loss especially after where they were in the context of the match at the closure of the opening day. They had been able to send Pakistan packing at not a big score on a surface which was decent for batting and thereafter, they had the opportunity to take a big first innings lead which they failed to do. 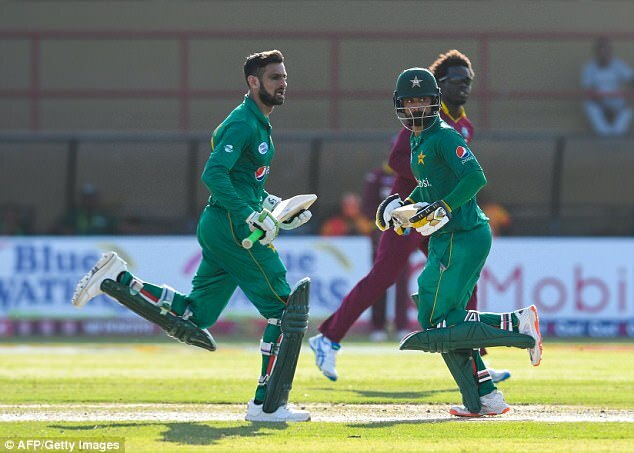 Mohammed Hafeez, who is in the Pakistani team only as a batsman these days after being banned from bowling by the International Cricket Council, then played one of the innings of his life in the third innings and took the game away from England almost on his own. A few people were still backing England to hunt down 284 to win the test match, but, with the surface getting more and more abrasive and Ben Stokes being injured and not expected to contribute in his full capacity, it was a bit too many to score. Tharindu Kaushal, the young spinner of Sri Lanka, has been banned from delivering his Doosra. Kaushal’s action had been reported by the on and off field umpires who were in charge of the action in the recent test series between India and Sri Lanka. An assessment was done on the action of the 22-year old in India thereafter in which it was found that there’s no breaking of the rules as far as his off spinners are concerned, but, in case of his Doosra, he goes past the arm bending limit that has been set for the bowlers by the governing body of the game. So, he can’t be permitted to bowl that anymore. Kaushal has so far played just 4 test matches for his national team and has taken 19 wickets at an average of almost 36. He is tipped to be the next ‘Muralitharan’. But, he has had a setback very early in his career. If he continues bowling Doosra in future, he might be reported again. Kaushal is not the first bowler to have his Doosra coming under the scrutiny in the recent times. There have been plenty of spinners, especially the off spinners, from different countries who have had his Doosra being assessed by ICC of late and most of them have had to stop bowling it.